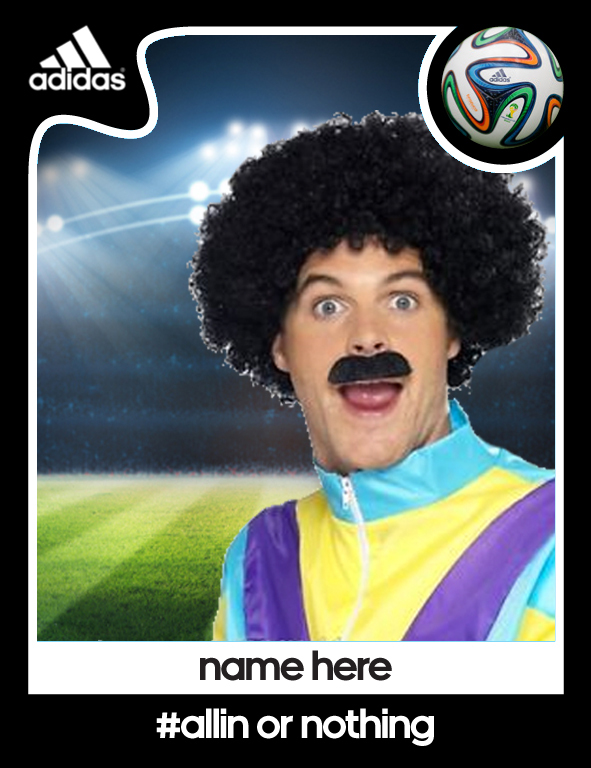 Adidas wanted to create a unique experience for their Brazilian World Cup Football Launch Party by enabling guess to create their own 70’s style Panini football photo stickers. The prints were issued on sticker paper and stamped out to the correct size. Copies were stuck on a board to create a ‘players wall’ and the images were shared online using the #allinornothing hashtag.